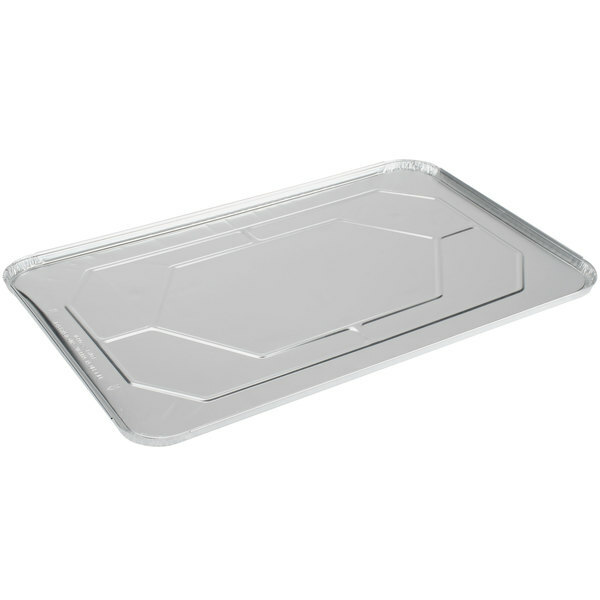 Conserve your food's hot temperature and provide spill-free transportation with this Choice full size foil steam table pan lid! 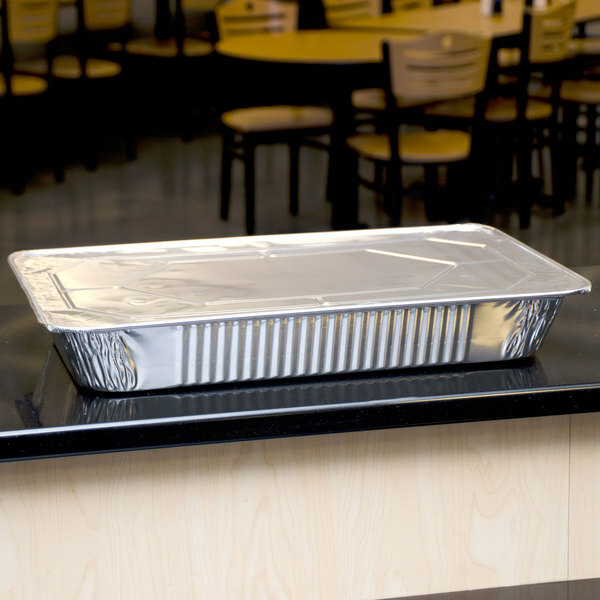 Perfectly sized to fit your full size steam table pan (sold separately), this lid secures all your entrees, sides, appetizers, and desserts! 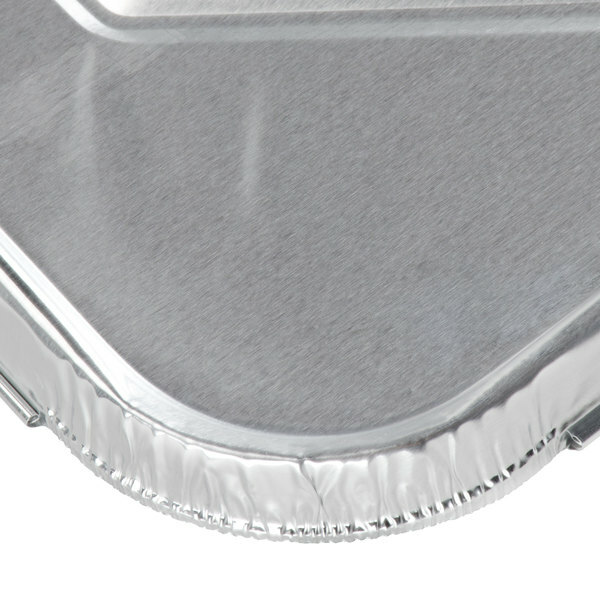 Simply press the foil around the pan's rim to create a lasting seal that provides unparalleled temperature retention and protection against external contaminants. "We love full size pans so naturally the tops work for us quite nicely. They offer a snug fit and the smooth lightweight top allows us to place customized labels on top to brand our pans. We love them!" 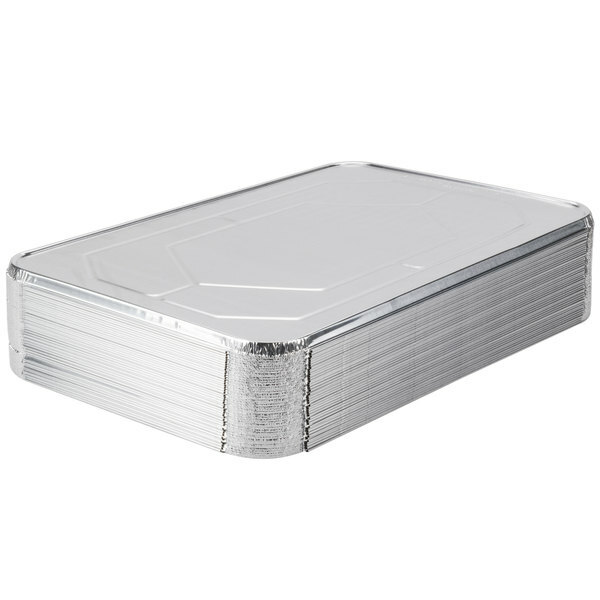 Durable 45 gauge aluminum foil will stay strong throughout the entirety of your event while providing a polished look. Flexible rim can be easily bent to cover all the pan's edges. 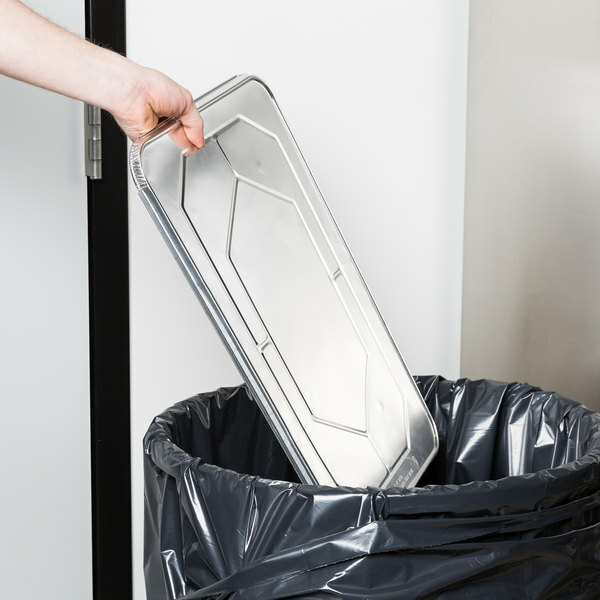 Allows users to compactly store and transport pans on top of one another. Ideal for quick, worry-free cleanup at the end of any event. Microcore 8" x 12" x 1" Heavy-Duty Thermal Hot or Cold Pack - 40 oz. Choice Insulated Food Pan Carrier, Blue Vinyl, 23" x 13" x 15"
Choice Insulated Food Delivery Bag / Pan Carrier, Black Nylon, 23" x 13" x 15"
We needed lids for full sized chaffing pans, these are a good fit and durable. Sealed foil pan nicely , also beat price i got here . 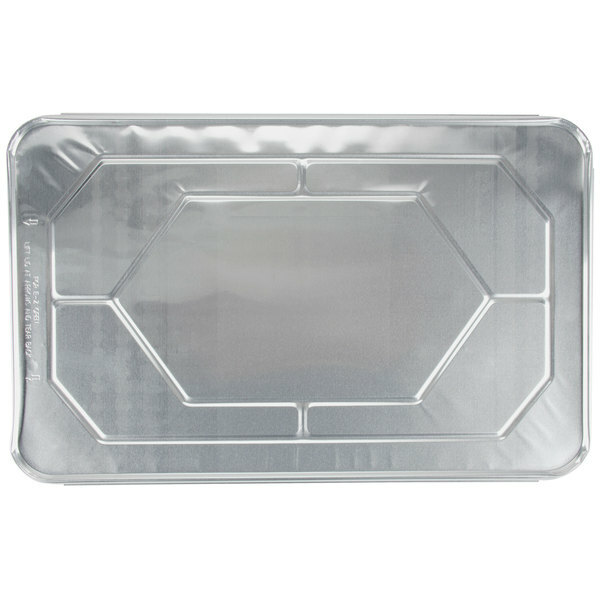 the price on the choice full size foil steam table pans is amazing! This purchase was made to cover pans at our family reunion bbq! The price was affordable and it gave a cohesive look over foil covered pans that flies can still get into. you can't go wrong with this purchase! Excellent price for quality lids! 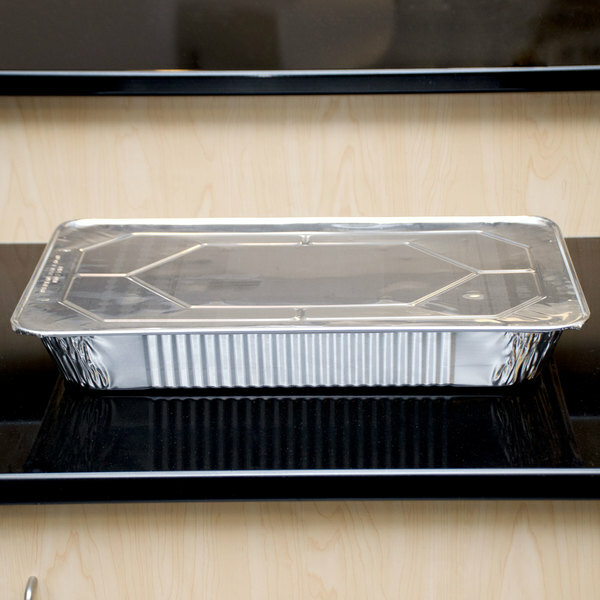 I have used these lids with aluminum pans to cook, store and serve. I've never been disappointed! I will definitely re-order. These steam table pan lids were perfect for our wedding. We had a large buffet and used a dozen of these for different sides and toppings for our taco bar. 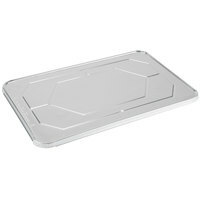 These table pan lids are perfect at sealing in the steam bottoms. We love that you can bake at lower temperatures in these all the time. 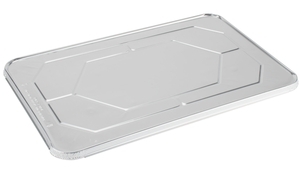 Aluminum cover of very good quality and perfect for Foil Steam Table Pan Medium Depth. It clings perfectly to the pan to preserve hot food. These full size containers fit every full size steam table pan we use or that people give us. They are sturdy and stay firmly tight. 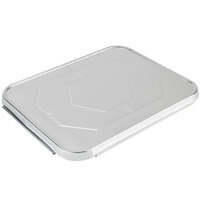 These pan covers work perfectly to cover the food during cooking and transportating. Surface also allows writing on it with a sharpie. Much more efficient than aluminum foil wrapping. These lids are functional and very sturdy. I was able to stack over 6 pans on top of each other without them caving in. I love them because they can be placed on loosely or you can secure them by squeezing the sides. Great buy. These lids are pretty heavy duty. They worked well for us, and they fit on the full sized foil pans perfectly that I purchased from a different vendor. These kids are very sturdy and reusable when needed. They also allow for easy labeling and much cheaper when offered in bulk. I love the fact that I am able to buy more, just as good at a fair price. Before using these lids, we were using aluminum foil, which doesn't look near as nice. These lids gave us a professional look that is worth the money! These lids are sturdy and we use a sharpie on the lid to label what food is in each pan. These lids are cost effective and functional! I love how they fit around the pan. The lid doesn't lift or let food drip out. I buy them all the time! We reorder these again and again. Super awesome price point compared to our local restaurant supply houses, and even with the shipping charges, still 10% cheaper. Durable! We will buy again and again. Good sturdy lids. Easy to write on and fit the pans perfectly. Watch the corners though! They can be sharp but nothing that isn't solved with using a towel.